A year after serial killer Michael Rhodes is executed and allowed to donate part of his brain as an organ transplant, Wade gets called to a murder scene that shares uncanny similarities to those of the late Michael Rhodes. Other similar killings happen around Seattle, and Wade seems to be the only person still alive who knows enough about Michael Rhodes's murders to be able to replicate them. When evidence found at one of the crime scenes points to Wade as the killer, he races to find the real culprit before it's too late to clear his own name. The Recipient is a chilling crime thriller mixed with domestic suspense that will leave you on the edge of your seat until the very end. If you like Rachel Abbott, Robert Bryndza, and Angela Marsons, then you'll love Audrey J. Cole's debut thriller. "Once The Recipient got its claws in me it didn't want to let go. The Recipient is filled with so many twist and turns that will leave you on the edge of your seat wanting more and just waiting to see want is around the next corner. 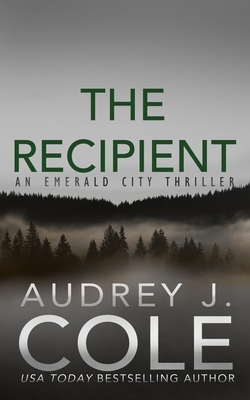 I can't wait to read more in the Emerald City Thrillers series." The Avid Reader Book Review. Audrey J. Cole is a registered nurse and a writer of thrillers set in Seattle. Although born and raised in the Seattle area, Audrey now lives with her husband and daughter in Port Stephens, Australia. She is currently writing a psychological thriller.